From the days of the Republic of Czechoslovakia, this magnificent piece of fantasy graphic art in the ‘Jugendstil’, Art Nouveau or ‘Secessionist’ style was designed by noted Czech graphic artist and illustrator Artuš Scheiner (1863-1938) and first printed by Česká Grafická Unie AS (Czech Graphic Union), Prague, in c.1920. Artus Scheiner worked as a financial clerk in Prague when he began drawing as a hobby. Soon magazines in Austria, Germany, Czechoslovakia and Hungary began publishing his work. 1902 saw the release of his first book of fairy tale illustrations. He is not so well known in the English-speaking world. 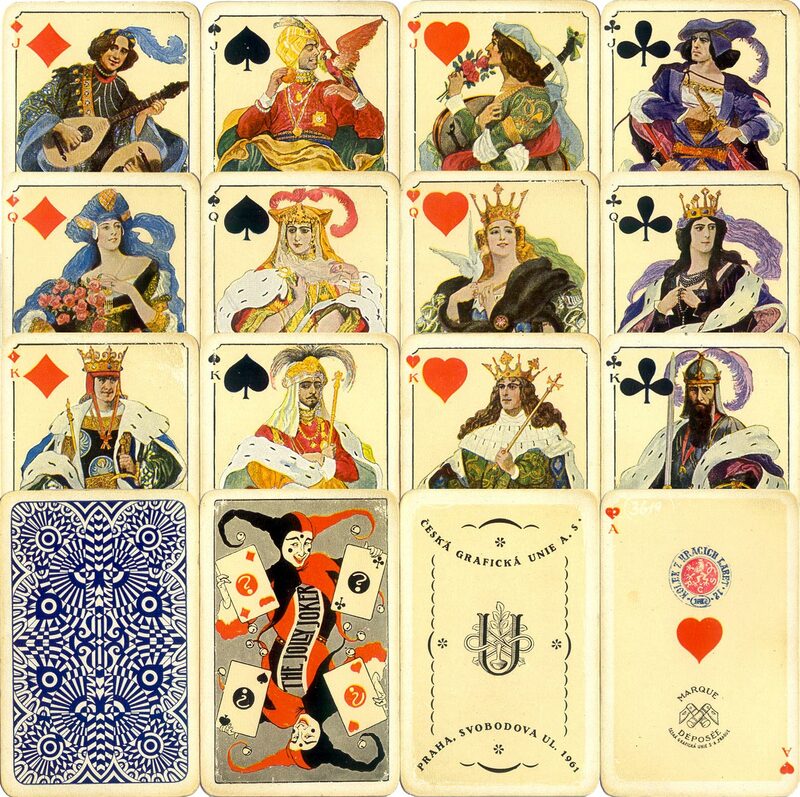 Above: ‘Jugendstil’ playing cards designed by Artus Scheiner (1863-1938) and first printed by offset by Česká Grafická Unie AS, Prague, in c.1920 and reprinted at various later dates. 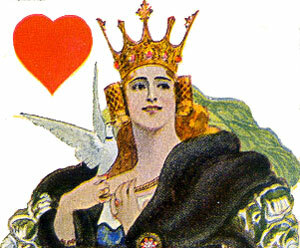 The court cards have an almost fairyland appearance and allude to different cultures, with distinct colour schemes for each suit. The geometric back design came in blue or red. These cards also exist in smaller Patience size packs. Images courtesy Barney Townshend. See also: Czech Nationalistic playing-cards • Eagle Playing Card Co., Ltd.